Doris and Mike live on a large estate with their many servants. Unfortunately, someone among them stole a valuable piece of jewelry last night. Who could be responsible? Help them find the answer in this thrilling hidden objects game. Are you ready to look for some strange things on Greenroad? Make your way through some creepy, haunted and strange places in The Valley. Help Gareth, a resident, find the valuable items he lost from his home. Rita and Monica are on an exciting adventure to find a long lost treasure. According to legend, it once belonged to Queen Sophie-Charlotte and it could be located in a mysterious chamber. Can you help them find the six silver keys they’ll need to unlock it in this hidden objects game? Another round of investigations is about to begin in the latest chapter of this mysterious hidden objects gaming series. Can you find all of the items and clues in each one of these rooms in order to solve the case of the missing children? Swap the figures to make rows or 3 or more of the same figures. Can you put all of these jigsawed metropolises back together again? Even if the weather outside isn’t very nice, you can still celebrate the summer with this puzzle game. Enjoy some gorgeous photos of flowers, sunsets, and more while you put together each one. Can you complete all of these challenging jigsaw puzzles that feature gorgeous photos of wolves and other wild animals in their native habitats? You can choose to divide them into as few as 16 pieces or as many as 100 in this online game. Can you piece together all of these delightful puzzles that are perfect for the holiday season? Assemble photos of happy squirrels and more in this online game. Try to piece together the most magical images of Christmas, snow, joy and glow. This festive season has all the bits and pieces to inspire any puzzle fan! You've never played Mahjong like this ever before! Kris Mahjong will truly test your skills as you try to prove that you're the best there is at this awesome free to play browser game. An evil monster called Fiend is spreading chaos across the kingdom. The only thing that can stop him? Your puzzle skills! Strike back and defend the kingdom while you match up the tiles in the latest chapter of this electrifying Mahjong series. Earn exciting daily bonuses while you play this match 3 puzzle game. Link together all of the colorful jewels as quickly as you can. You’ll only get a certain number of moves during each level though so you’ll need to be careful. Dig a mine until you strike gold, but be careful not to get stuck! Collect bubbles and bonuses and try to avoid all mines in this deep sea adventure. These miners have a lot of jewels to collect before it’s quittin’ time. Can you sweep the board in this retro classic? Click on a tile to reveal how many mines are touching it, add flags to suspicious tiles, and test your nerve in Minesweeper! If you find a mine, it's game over! Explore the room, examine all the objects, and try to escape. Click on a mine to detonate it and create a chain reaction. This miner has always wanted to visit the Far East but he’d rather dig his way there instead of flying. Multiplying gem stones are taking over the mine! Guide the ball right into the red goal by bouncing it off the blocks! This monster loves candy and this maze contains lots of it. There’s just one problem: he has no clue which way to go! 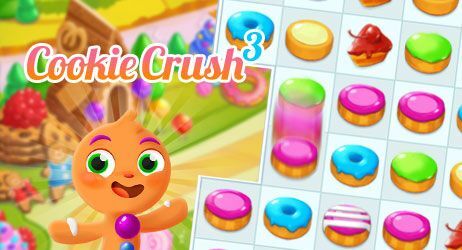 Can you point him in all the right directions in this cute and challenging puzzle game before time runs out? He’s got quite the sweet tooth! Block your opponent for as long as possible to take the win for yourself! Don't hit the walls or move red things while you collect all the coins and enter the door! Plan out your moves in order to obtain the key and exit through the stage by using blocks and traps in this fun puzzle game! Each of these princesses is on an a-maze-ing adventure. Can you help them achieve their dreams? Is this 3D online version of pool pretty amazing? Most certainly! Grab a cue and get ready to take on your computerized opponent. Just don’t get stuck behind the eight ball.